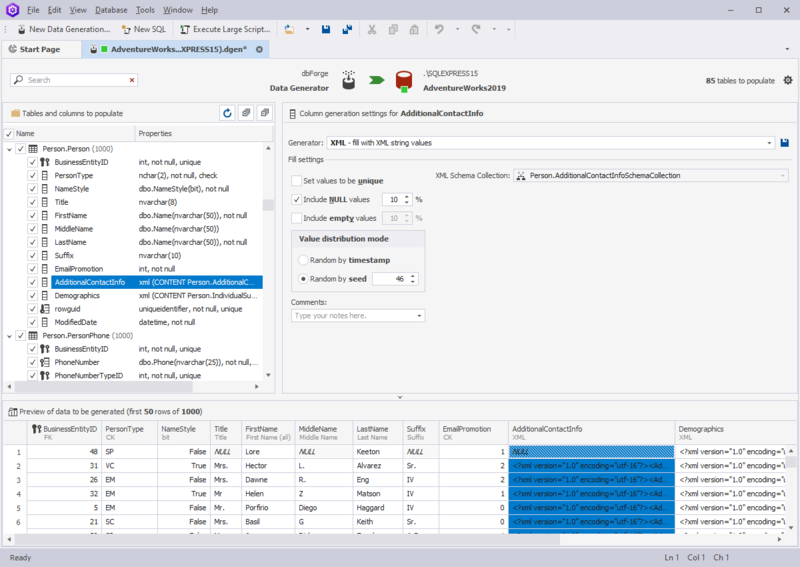 dbForge Data Generator for SQL Server is a powerful GUI tool for a fast generation of large volumes of SQL Server test table data. The tool supports all column data types and allows to define tables and columns for data generation, set value ranges, customize parameters for each column data type, preview data before generation, edit and save data generation scripts for the future use. Make changes to the data found within an Sybase ASE table. The All New PHP MySQL Code Generator. PaGoDump for PostgreSQL: GUI tool for extracting a PostgreSQL database into SQL script file, archived SQL file (GZIP), TAR archive, or pg_restore custom archive (*.backup). Show Classic Menus and Toolbars on the Ribbon of Microsoft Access 2010. All new features of Access 2010 have been added into the software. You don't need any training or tutorials if you used Access 2003/XP/2000 before.